Department » Austin Resource Recovery » Programs » Give Us 5 Austin! Give Us 5 Austin! 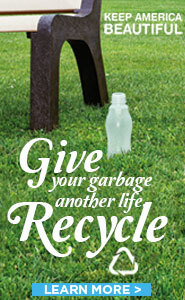 encourages Austinites to recycle more and to increase recycling in their homes by 5 pounds each month. By recycling just 5 more pounds per household, the city will be closer to achieving their goal of Zero Waste! The City of Austin has a goal to keep 50 percent of trash out of landfills by December 2015 and ultimately to reach Zero Waste by 2040 or sooner. It will take a team effort to reach Zero Waste. Becoming a Zero Waste city means preserving natural resources and creating a better tomorrow for Austin residents. Remember we’re all in this together; so Give Us 5, Austin! 5 Steps to 5 Pounds! Recycle in every room of the house! We’re usually really good about recycling in the kitchen, but remember, recyclables can be found in other rooms of your house too. Making sure recycling bins are strategically located around the house will make it easier for everyone in your family to remember to recycle. Check out a list of what you can recycle in each room. Make the trash bin your LAST option. Always consider recycling before you throw something in the trash. Learn the items that can be recycled and stay up to date on newly accepted items at austintexas.gov/recycling. If you aren’t sure about an item, you can also check out our A-to-Z “What Do I Do With?” Guide. Make recycling a habit. It’ll become routine if you recycle every day and set out your recycling cart every two weeks. Find your curbside collection schedule. Rethink your purchases. Before you buy, consider whether the product or its packaging is recyclable. Avoid products that cannot be recycled in the City’s recycling program. Get everyone in your house involved. Now that you know how to recycle right, spread the word to your friends and family. Teach and encourage them to recycle in every room of the house. You can even become a Zero Waste Block Leader, a recycling advocate in your neighborhood! Discovered a great way to increase recycling in your home? Share it with us on our Facebook page, and we might feature you on our blog.